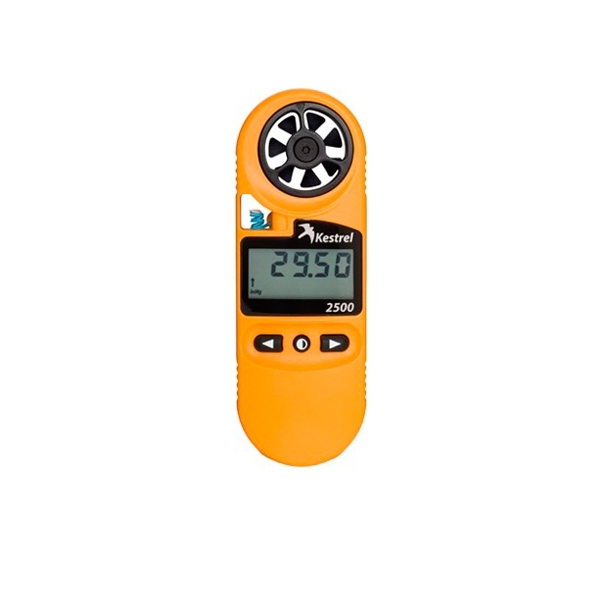 Kestrel 2500 technology enables you to follow changes in air pressure that help predict impending changes in the weather. Factor in the 2500's digital altimeter, and you have most of the weather information you need for outdoor activities ranging from model airplane flight to rifle practice. The Kestrel 2500's sensitive and user-replaceable impeller technology provides accurate wind speed info. 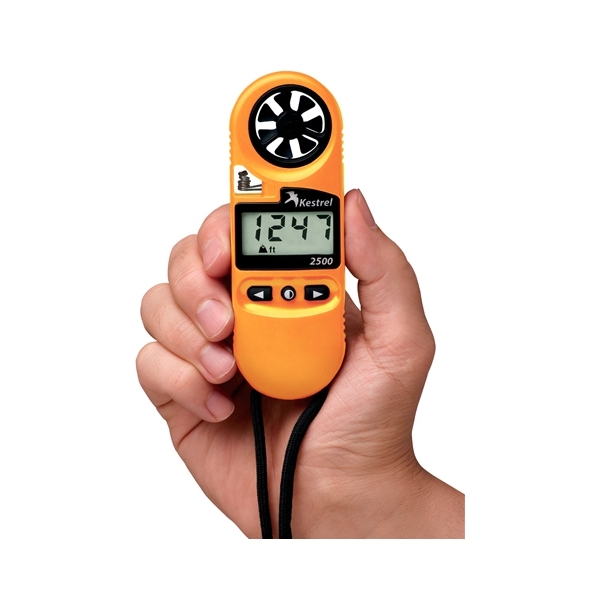 Additionally, an external temperature sensor and waterproof casing allow you to gauge the temperature of water (it even floats) and snow, as well as the open air. A hard slide-on case, lanyard, and battery are included.